Tuffa UK has supplied a plastic bunded fire-protected oil tank to a Hampshire Primary school. The work was carried out by Fareham based Industrial (Boiler & Contract) Services Ltd (IBS). We have lift off! Tuffa’s 3,500 litre bunded fire-protected oil tank being lowered into position at the school. IBS is an installation, maintenance and repair company handling heating, ventilation and solid fuel installations. They are members of the Gas Safety Register, OFTEC, HETAS and CHAS and have previously worked with Tuffa on several projects over the last 5 years. 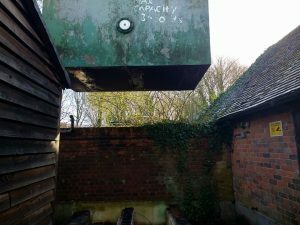 They were appointed to inspect the heating oil tank at a Hampshire Primary school. IBS Project Manager, George Sève takes up the story. “The existing tank was an older 3,000 litre single skin steel tank. It had a surrounding brick-built bund to catch any oil spills. 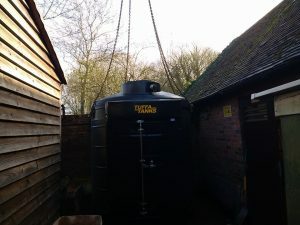 We recommended that it would be more economical to replace the tank rather than carry out an expensive refurbishment of the existing equipment,” he said. They recommended a Tuffa fire-protected bunded plastic heating tank as a replacement. They opted for a bigger 3,500 litre tank, which despite having a larger capacity, actually had a smaller footprint than the old tank. Tuffa has developed a unique, patented fire-protected material that can be factory-fitted around the inner fuel tank. This provides up to 60 minutes of fire-protection, making the tank safe in the event of a fire. 60 minutes gives sufficient time for the building to be safely evacuated while any fire is controlled and extinguished. This enables the tank to be located alongside the building while still meeting all fire and safety regulations. 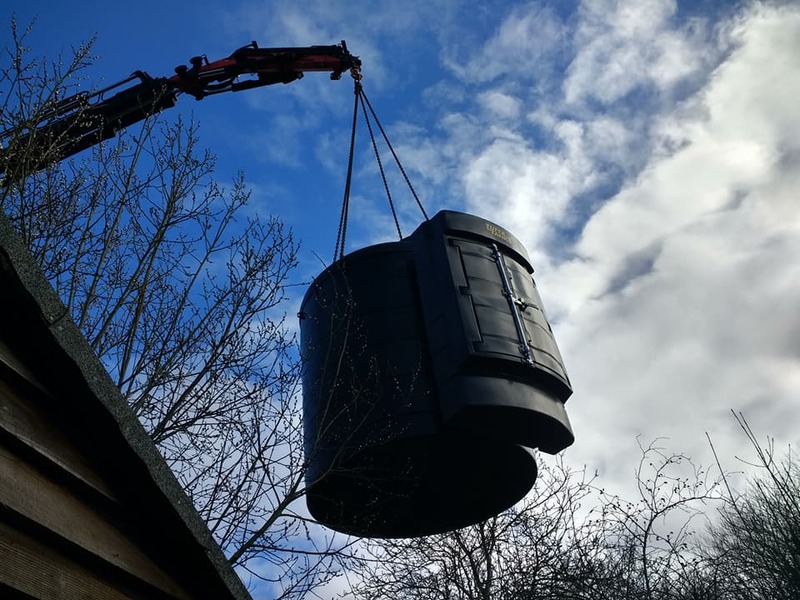 In fact, the tank is delivered with full Local Authority Building Control (LABC) Certification without the need for any additional firewall or brickwork. It also makes fitting the tank quicker and easier reducing installation costs. As well as that, the tank is “bunded” with the outer bund having a minimum of 110% capacity of the inner tank. This helps to prevent overfilling and contains any spillage, meeting all legal requirements on Secondary Containment. The tank was manufactured in Tuffa’s Staffordshire based factory before being delivered direct to the school. The replacement took place during the February half term, minimising the disruption at the school. IBS’s George Sève again. “The entire operation was carefully planned and organised. The new tank was delivered to the school as we removed the old tank. As soon as it was out, Jeff, our crane operator lowered the new tank into position,” he said. Top marks in the school project! The school was delighted with their new tank. “The feedback we got from the school was really positive,” George said. “They told us that the whole installation was very good, very well managed with proper care and diligence,” he added. “We’ve worked with Tuffa Tanks and crane operators Coastal Transport & Site Services on many occasions, and it’s great when we all work together as a team to get the job done. Here we’ve saved an expensive refurbishment cost installing a secure, safe and clean replacement tank. We did our homework and the team scored top marks in our school project!” he joked. If you need a new or replacement oil tank with full LABC Certification, take a look at the range Tuffa fire-protected tanks here.